Christmas is fast approaching – and with it comes food. Oh, not just regular food, but the buttery, sugary, absolutely delicious, melt-in-your-mouth, can’t stop eating it food! Overeating is almost expected this time of the year – tis the season to add a few pounds, right?! Once you can get past the extra calories, there is something about this constant deluge of sweet treats that sparks pleasant and peaceful feelings. When that sweetness hits your tongue, you can close your eyes and be transported with warm, fuzzy memories of Christmas past, spent with the people you love the most. 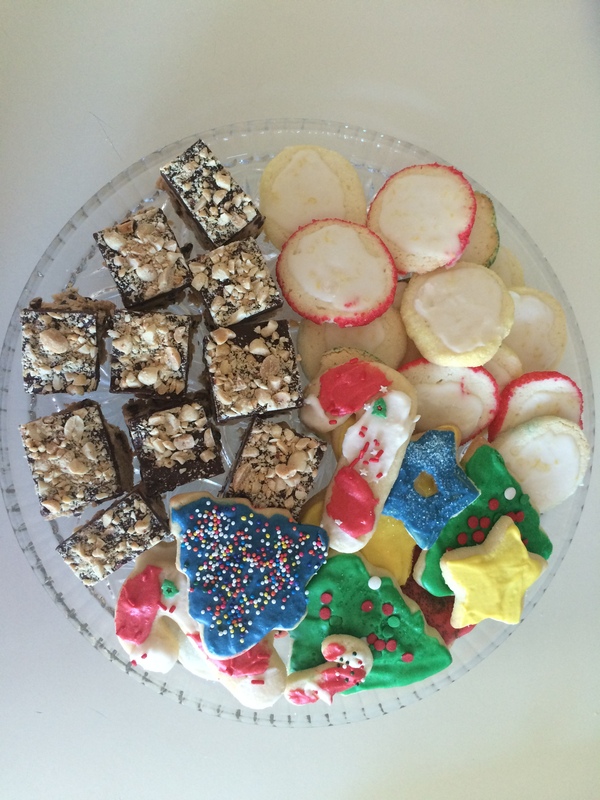 This year, the delightful TASTES of Christmas reminded me of an activity from a retreat this fall. We were allowed time to ponder “unforgiveness” through our sense of taste. With eyes closed, we were each given bitter vinegar and asked to place it on our tongues; then let it sit as we meditated through silence and written word. Who have I failed to forgive? For whom do I hold a grudge? I sat, pen in hand, the acidic vinegar burning my tongue and the roof of my mouth. What bitter still sits in my heart, leaving a sting not that different from the bitter taste on my tongue? A list of people came to mind – people who have wronged me or wronged those I love. These people (each themselves a unique child of God) stay in my heart with that scar of unforgiveness. But in that particular moment, the deepest feeling of unforgiveness I felt was with myself! I am a perfectionist, and I want to meet the expectations that people have created for me. Yet too often I fail to be who God has called me to be because I’m trying to be the person someone else needs me to be! That bitter taste actually encouraged bitter feelings, and a pit of negativity swirled around me. I felt trapped in this bitterness; it took hold of my thoughts and would not let go! But then – the second part of our little experiment. We were given a sweet mint and allowed more time to write. The bitter was quickly overcome by this pleasant taste; my thoughts became more clear and purposeful. My heart redirected its focus to forgiveness, and on a God who loves all, forgives all. With this new taste and more positive outlook, I wrote these words to myself – “Stop apologizing for yourself and live as a child of God!” For me, sweetness brought clarity, a sense of peace, and a step in a new direction! You can see the connection, right? When I sit brooding in bitterness, I hear words, process the world around me, and handle relationships poorly. But when bitter thoughts and feelings are released and we taste and see sweetness, how much easier to live in peace, share joy and offer forgiveness and mercy! Ah, but life has bitter! How do we sift through the bitter and find sweetness? Dwell in the bitter, and the world will be bitter indeed. But like the constant presence of holiday goodies, God’s sweetness is all around us. God’s presence resides in the help of a friendly neighbor, the laughter of a young child, the listening ear of a dear friend in a time of need, the hug shared between mother and child. And most amazing of all, God’s presence lies in an innocent child who lay in a manger some 2,000 years ago. Let the bitter be overcome by this sweetness! Open your eyes; taste and see the sweet gifts God has given!